”HELP! I am my club?s President, Treasurer, Membership Chair, etc. etc……………”. GHC and TFRW are here to help. Join us for a day of workshops and speakers. The workshops will help you learn more about how to do your job to make your clubs stronger and more effective. Not to be Missed! Club presidents will also be recognized. Early registration deadline is February 11th. 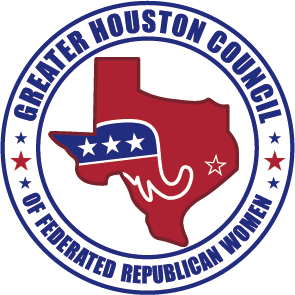 Political advertising paid for by Greater Houston Council of Federated Republican Women, Patricia Lunn, Treasurer, 5214 Pine St., Bellaire, TX. 77401. Contributions are not federal tax deductible as charitable contributions. Corporate Contributions Are Not Permitted.